Find and hire a professional Sydney gutter cleaning company. Don’t risk an injury to yourself, or damage to your roof, by doing it yourself – choose an experienced and skilled provider to get the job done right the first time! 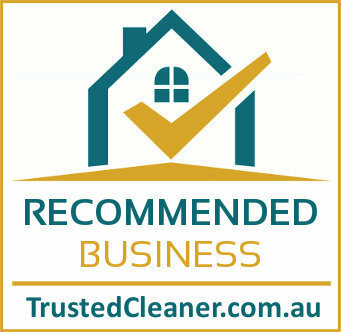 Always choose a TrustedCleaner Approved or Recommend Provider. The following companies have demonstrated a commitment to quality and excellence. OZ Services Group have been serving residential and commercial clients in Sydney and surrounding suburbs for the past 15 years. They are fully insured, provide a complete 100% satisfaction guarantee, and employ experienced technicians (over 70 in total). Call OZ Services Group today and ask for a free quote. Tell them you saw them on TrustedCleaner to get the best price and priority service. With cleaners available 24 hours a day, 7 days a week OZ Services Group provide a professional, prompt and reliable Sydney gutter cleaning service. Choose an exterior cleaning specialist who provides the full range of outdoor cleaning solutions; including window cleaning, house washing, pressure washing & graffiti removal. Services are also available to clients in both Melbourne and Brisbane. Preliminary hand-cleaning of all gutters to ensure the maximum amount of debris has been removed. Follow up with a blower-vac cleaning to flush-out any small, loose debris hanging around. Pressure wash to eliminate residual staining and hard-to-clear blockages. 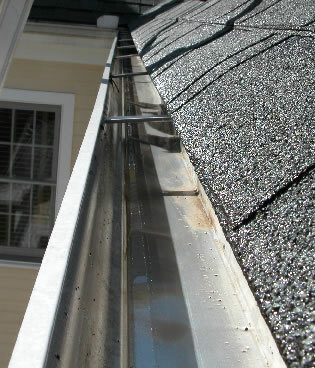 (Optional) Post-cleaning installation of gutter guards to protect against future clogging. Paul’s Gutter Cleaning makes every effort to make sure customers feel confident in their hire before making it. By following a rigid vetting process for new employees and using only pet-safe, child-safe, environmentally-friendly products, Paul’s ensures both their tools and their people do no harm. Explore Paul’s website to fully examine the wide range of deals and services their company offers. Don’t hesitate to call or email for a free, no-obligation quote regarding their gutter cleaning services. Servicing commercial, residential and strata properties, The Sydney Roof Doctor will accept any job big or small. With nearly 30 years of experience in roofing and gutter cleaning, the Roof Doctor can usually provide same-day service for those in a hurry, or flexible scheduling for less concerned with immediate help. Free quotes are available online, over the phone or via SMS. The Rood Doctor also lists a gutter cleaning price guide on their website. After 20 years in the business, Gutterboy has created a successful and well-trained team who knows how to effectively and efficiently clean gutters, drainpipes and other outdoor fixtures in just a few hours. Gutterboy offers fully insured services in the unlikely event something goes wrong and provides discounts for customers who hire the same day as receiving a quote. Initial estimates over the phone are free and Gutterboy will inspect the site on arrival to provide a more in-depth comprehensive quote if necessary. A comprehensive service provider, Outdoor Cleaning Specialists will utilise a combination of pressure and soft washing to get driveways, decks, exterior walls and pathways as clean as possible. They also offer a wide range of roof cleaning services including gutter cleaning and downpipe drainage clearing, removing the dirt, leaves and debris that cause blockages, leaks and costly damage. Windows looking dirty? Talk to our Sydney window cleaning professionals.